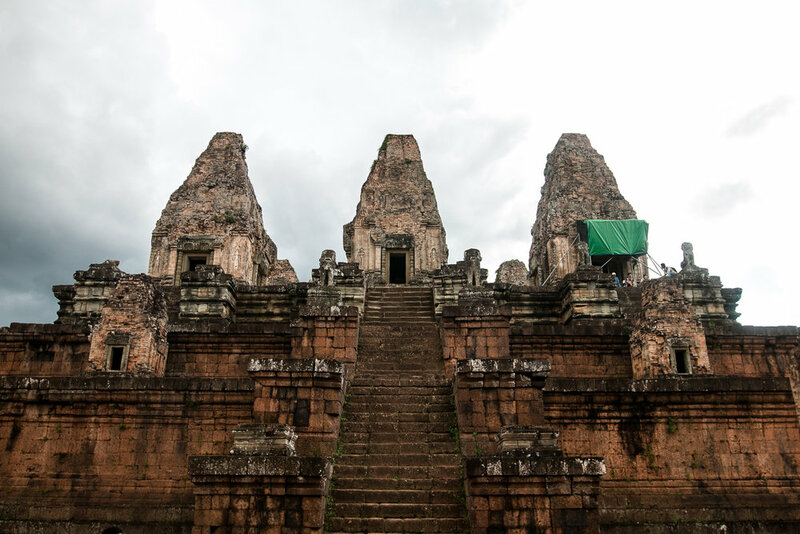 Dedicated to the Hindu god, Shiva, Phnom Bakheng was erected by King Yasovarman in the 9th century and now stands as one of the most popular locations to watch the sun set across the Siem Reap province of Cambodia. Holding importance as the location for the newest capital of Cambodia during the 10th Century, the temple was later abandoned in 928, though received brief rehabilitation in 968 under King Jayavarman V. Symbolically, the temple stands as a representation of Mount Meru, the sacred home of the Hindu gods from ancient texts. The Isle Of Underwater On Flowerpot Island, Canada.